A handmade, Sterling Silver necklace made from handmade Silver Nuggets. Silver Initial Tag to the clasp of the necklace. 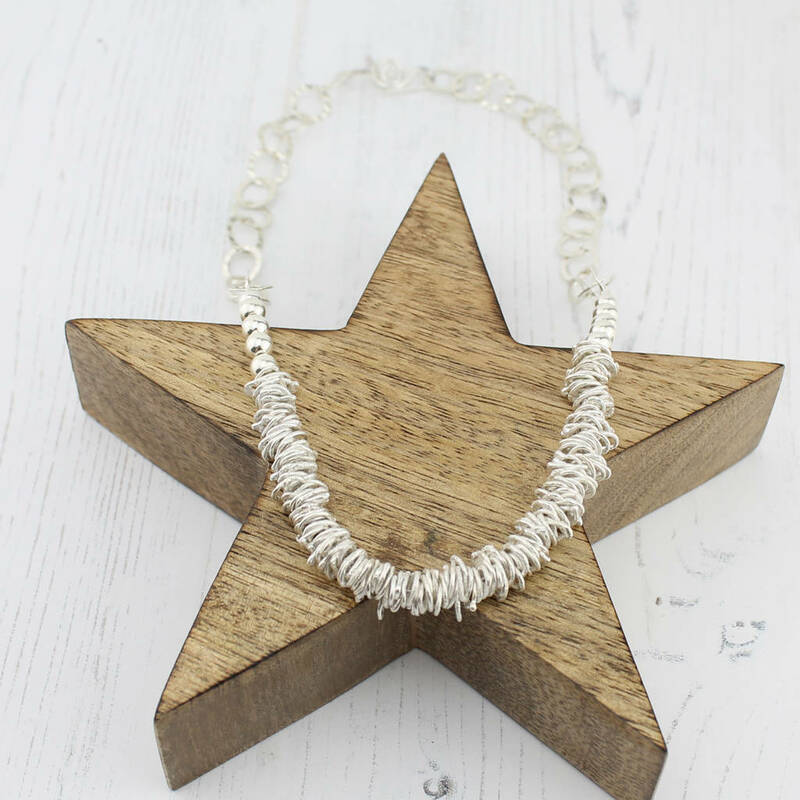 A beautifully made necklace, perfect for any big occassion or someone who loves to wear a statement! 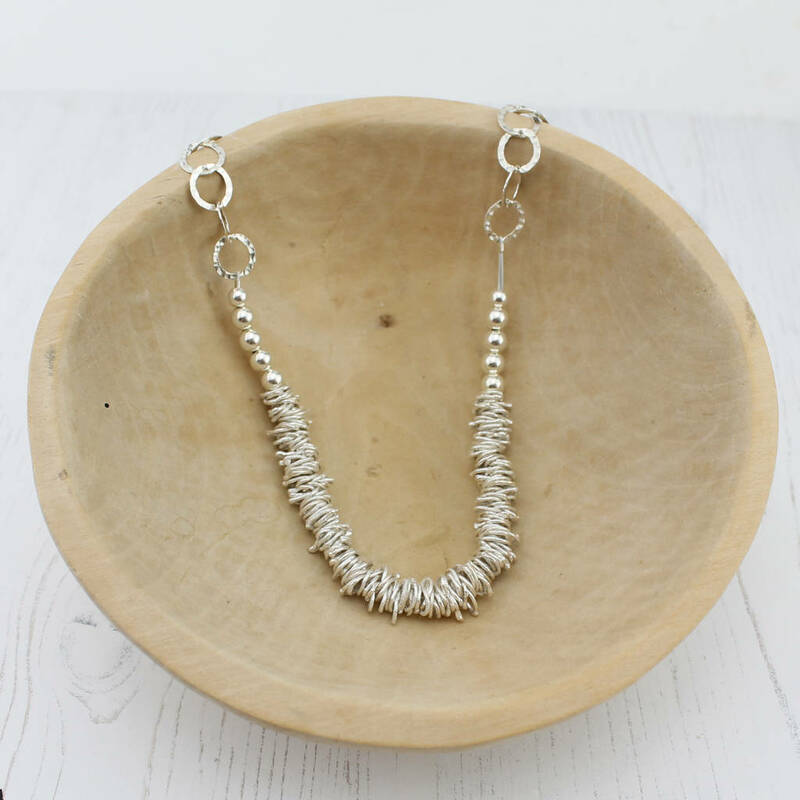 Each necklace is made of handmade silver nuggets and hammered, circular chain on either side. Each neclace is finished with a handmade clasp and can be personalised with an initial of your choice to add a personal touch. Our heaviest piece of jewellery, perfect for big celebrations or occassions. Hallmarked with Lucy Kemp Jewellery makers mark and made of Silver Nuggets and large, silver Circle hammered chain. 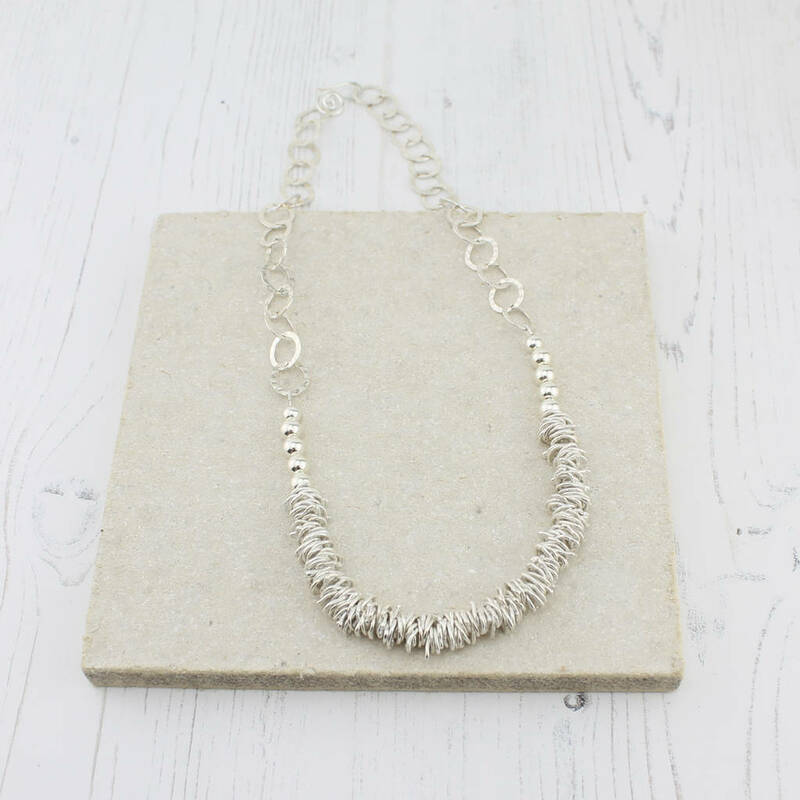 End of the necklace has a handmade Silver clasp. Necklace total length is 18inches. 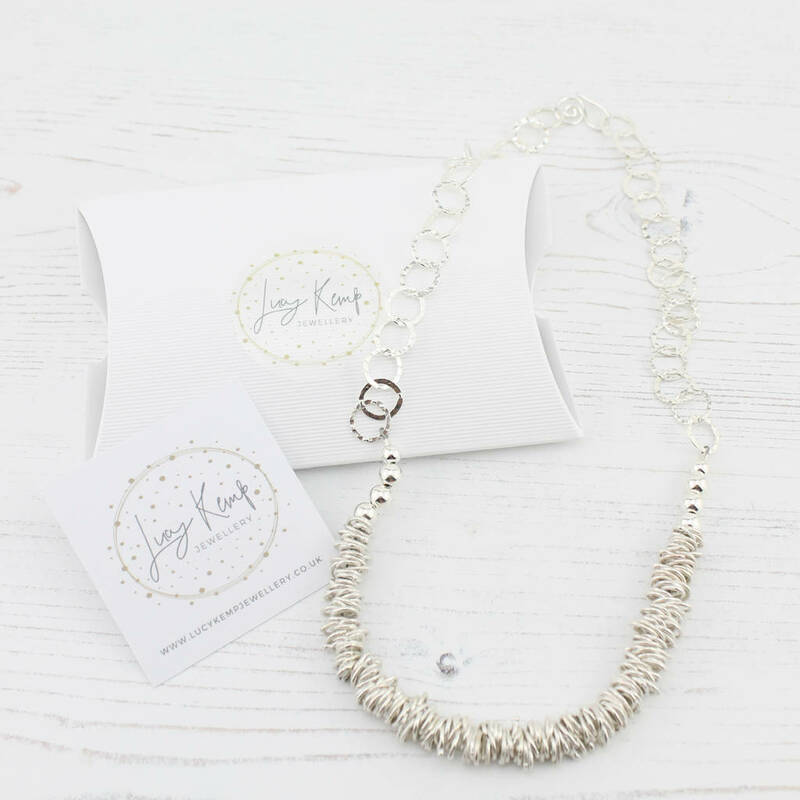 This product is dispatched to you by Lucy Kemp Silver Jewellery. This item will be sent to you Special Delivery, boxed so will require a signature. Delivery times may vary due to each piece being made to order but will always be within the 3 day window.